APRIL 14: What Is Bloom and Why Should I Use It? On April 14, we will have Francesca Valente from Bloom Soil in the store for an informal discussion with customers on the advantages to using Bloom Soil. Learn more about Bloom here. Join us on April 28 for a free class with Defy Wood Stain Rep Aaron Ray about how to effectively use their product to get the best looking finish on your deck or fence. Learn more about Defy Stains here. On June 15, Gary the pest master from P.F. 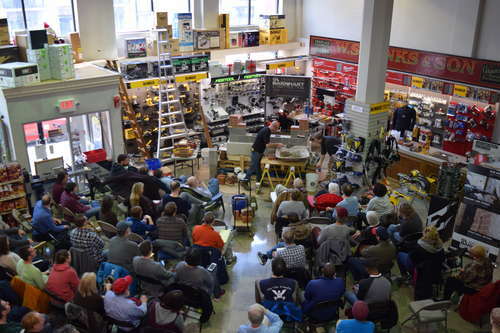 Harris will be in the building to answer all your questions about the best ways to cure your critter or bug problem. Our Annual April Paint BOGO runs from April 21-May 4. Buy 1 gallon, get a second gallon for $5. This special applies to Pratt & Lambert Accolade and Aquanamel interior paints. Why chose Pratt & Lambert? Pratt & Lambert is America's oldest paint company and is a Sherwin WIlliams subsidiary. 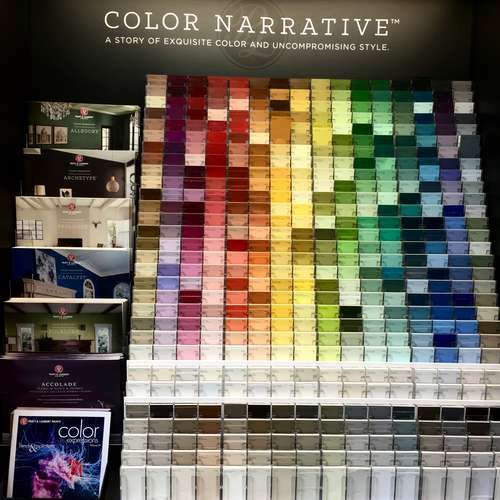 The Accolade has been the most superior Pratt & Lambert paint for nearly 40 years. It will stick to all surfaces without any needed prep. Known for its incredible longevity and durability on both inside and outside surfaces, the Accolade compares to any manufacturers top-of-the-line paint. The Aquanamel is a one-of-a-kind product that is the number one paint in door, cabinet, and trim. It is unrivaled in it's finished look, ease of application, and ability to stick to most surfaces. 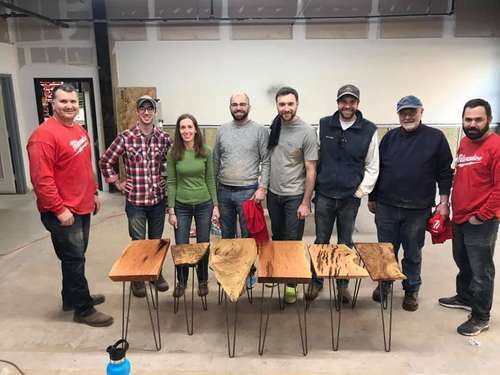 Side Table Making Class with Havewood Willturn. Stay tuned for more wood making classes. 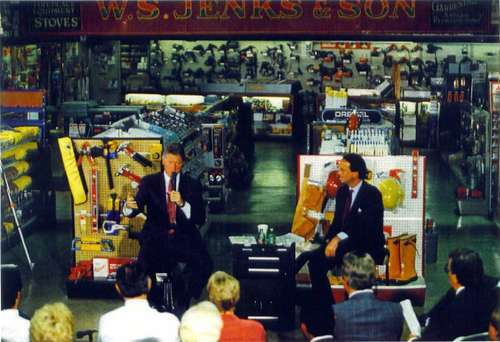 President Clinton rolling out his healthcare plan at Jenks in 1994.